Автор: Chandroo M. S. J. The book aims to serve the dual purpose of helping the nursing/midwifery students to pass in their examinations with flying colours as well as assisting the fresh graduates to acquire skills in this field where they are going to practise. 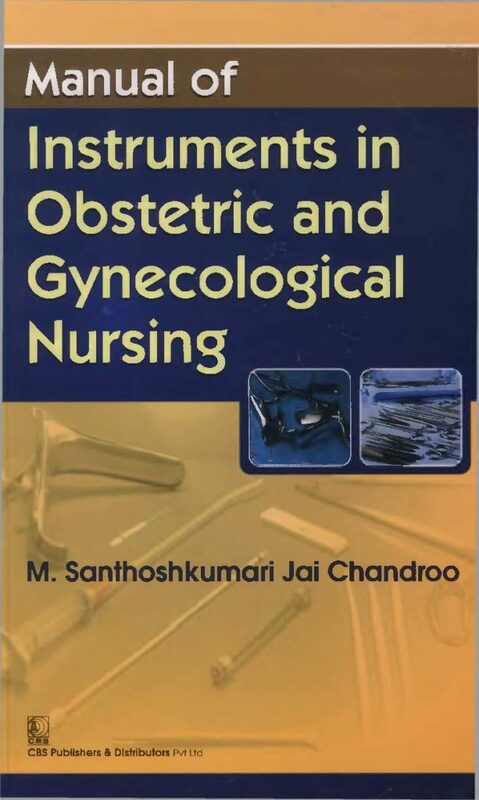 It contains a coherent and comprehensive description of instruments related to obstetric and gynecological nursing. The description is well supported by neat illustrations of the instruments. All the chapters have been defined and explained. Written in a simple language and lucid style, it covers almost all the instruments in the field of obstetric and gynecological nursing. This will help in imparting more knowledge to auxiliary nurse midwives as well as the students of undergraduate and postgraduate courses in nursing.